This combo of a navy corduroy blazer and navy jeans is so easy to make up in seconds time, helping you look stylish and ready for anything without spending a ton of time searching through your closet. 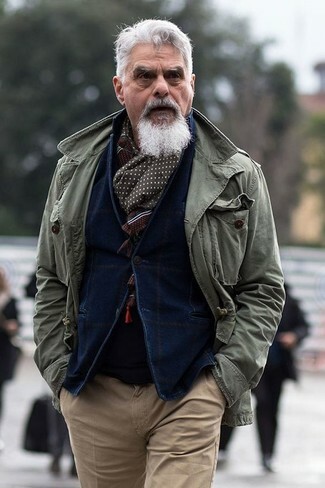 To break out of the mold a little, go for a pair of dark brown leather work boots. 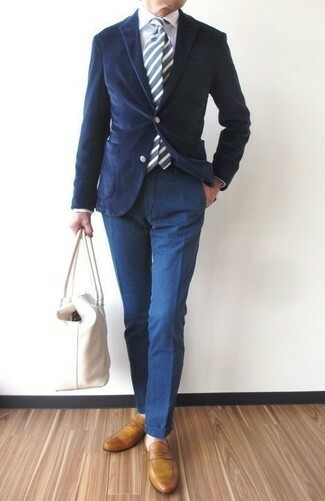 This combo of a navy corduroy blazer and navy jeans is so easy to pull together without a second thought, helping you look dapper and ready for anything without spending too much time digging through your closet. Spruce up your look with dark brown suede double monks. 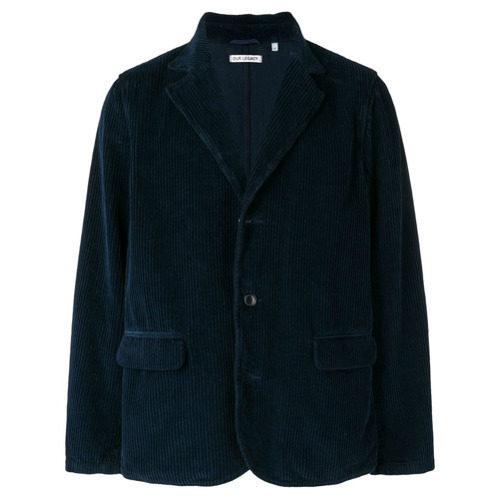 This combo of an Our Legacy corduroy blazer from farfetch.com and blue jeans is so easy to make up without a second thought, helping you look stylish and ready for anything without spending too much time combing through your closet. 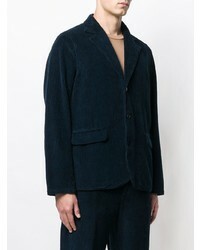 This combination of an Our Legacy corduroy blazer from farfetch.com and olive corduroy jeans is so easy to throw together in seconds time, helping you look sharp and ready for anything without spending too much time digging through your closet. Got bored with this getup? Enter dark brown suede derby shoes to jazz things up. 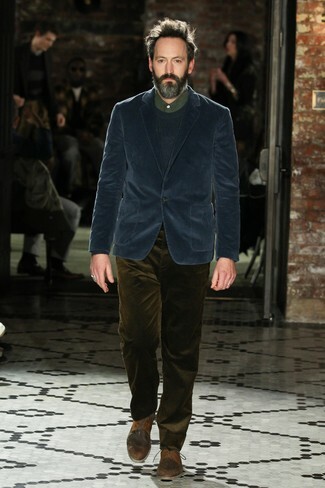 For a smart casual outfit, try teaming an Our Legacy corduroy blazer from farfetch.com with khaki chinos — these two items a work setting pretty good together. 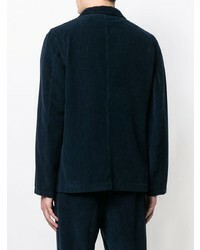 If you're in search of a casual yet dapper look, make an Our Legacy corduroy blazer from farfetch.com and white cargo pants your outfit choice. Both items are totally comfortable and will look great together. 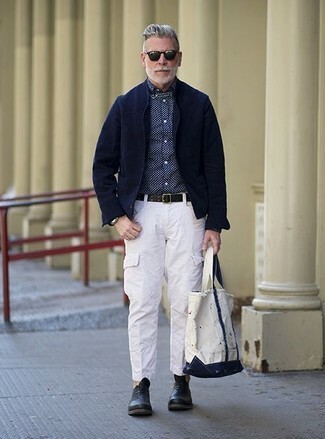 A pair of black leather oxford shoes will add some real flair to this getup. For a smart casual ensemble, make a navy corduroy blazer and navy chinos your outfit choice — these two items go really smart together. 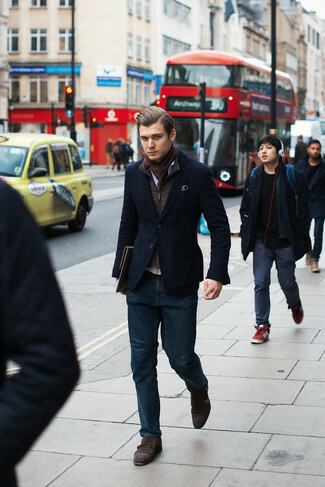 When it comes to footwear, this outfit is finished off nicely with mustard leather loafers.